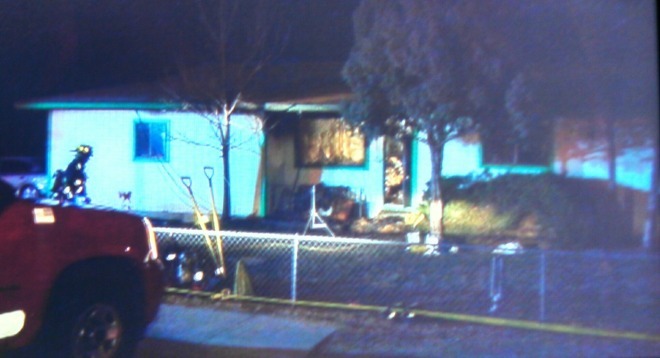 Boise firefighters rescued an unconscious woman from inside a bedroom in a burning duplex early Monday. The two-alarm fire at a residence in the 4500 block of Collister Street was reported at 12:46 a.m. Crews from the department’s Collister and Glenwood stations responded to the initial alarms, with other crews also assisting. Firefighters arrived to find the front of one of the units engulfed in flames, Battalion Chief Steve Rasulo said. Two of the three residents got themselves out, while firefighters entered through a bedroom window to rescue the woman. The three residents, all adults, were taken to Saint Alphonsus Regional Medical Center for treatment. No details were available Monday morning on their conditions. The second duplex unit sustained only minor smoke damage, Rasulo said. Neither of the two people who lived there were injured, he said. The attack crews remained on the scene until about 3:30 a.m. Other firefighters remained through the night to prevent flareups. The cause of the fire has not yet been determined, Rasulo said. Investigators returned after daybreak Monday to search for clues. 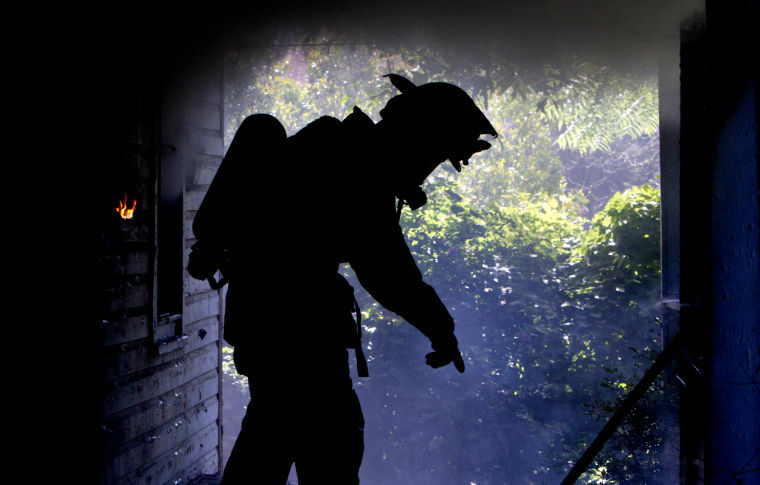 CLARKSVILLE, Tenn. (AP) – Neighbors stepped up to help firefighters and police officers who responded to an apartment fire in Middle Tennessee where several people were trapped in second-floor units. 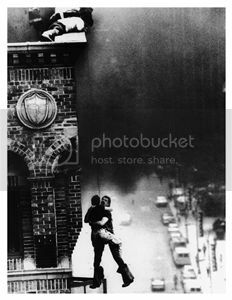 The Leaf Chronicle (http://leafne.ws/1DA8Yty) reports one couple caught two children and a woman who jumped to get away from the flames. Firefighters rescued others from the building in Clarksville. Clarksville Fire Marshal Ray Williams says due to the quick response from everyone there were only three minor injuries reported. Williams said investigators think the fire began in a ground floor apartment kitchen. 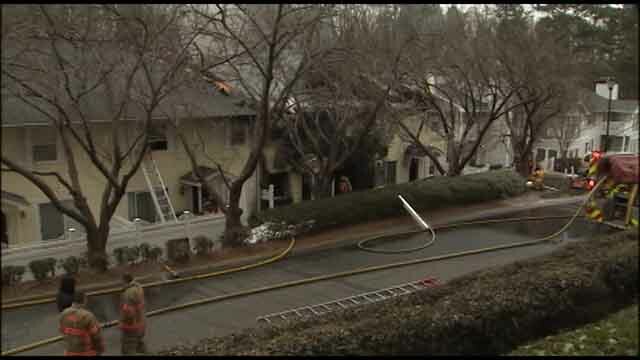 In all, 18 people were displaced by the blaze. Feb. 18–Firefighters in Chillicothe rescued a small child, her parents and one other occupant from an apartment late Tuesday night. Crews responded to the apartment building at 19 Webster St., shortly before midnight where a fire had reportedly trapped a young child and her parents, said Chillicothe Fire Chief Darrell Wright. Smoke was found coming from the northeast corner of the second floor. A ladder was deployed to the second floor where parents of a 3-year-old girl handed her out the window, Mr. Wright said. The child did not appear injured, he added. In the rescue attempt, additional firefighters made entry to the second floor and escorted the adults down a stairwell. They also escaped without injury, fire crews reported. The occupant was rescued from the building and transported to Hedrick Medical Center in Chillicothe for treatment. Mr. Wright said the man was then flown to a Kansas City hospital for treatment of burns. Another adult neighbor was also transported to the hospital for further care. 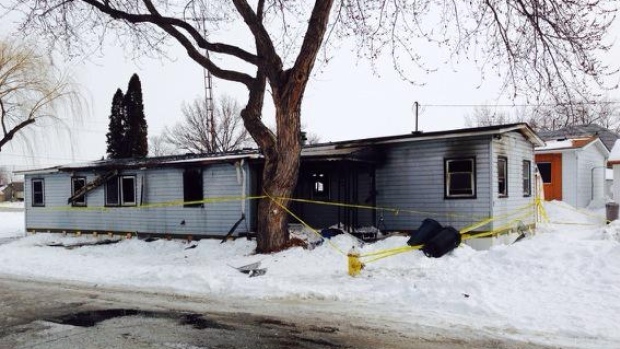 The Missouri State Fire Marshal’s Office was called to investigate the fire. 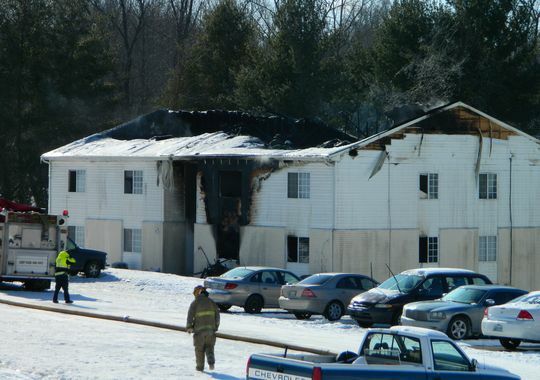 “There were about nine to 12 total (individuals) in the apartment building at the time of the fire,” Mr. Wright said. Power was disconnected and building occupants were instructed to find other places to stay for the night. The most damage to the building was found to be in apartment 7, Mr. Wright added. The cause remains under investigation, but no foul play is suspected. Karla Long, disaster program manager with the American Red Cross of Northwest Missouri, said volunteers will be meeting with fire victims individually to assess emergency needs. 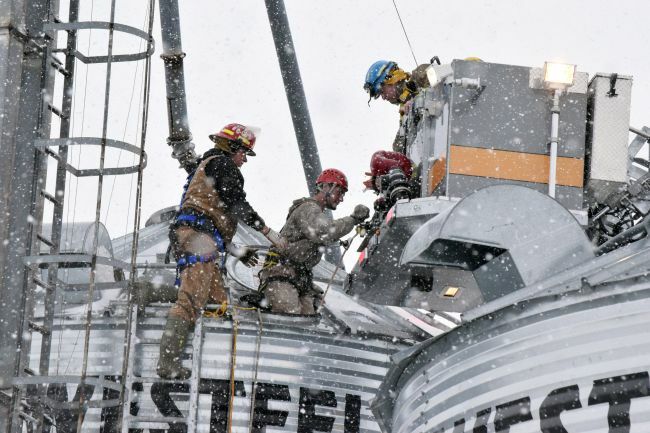 Copyright 2015 – St. Joseph News-Press, Mo. 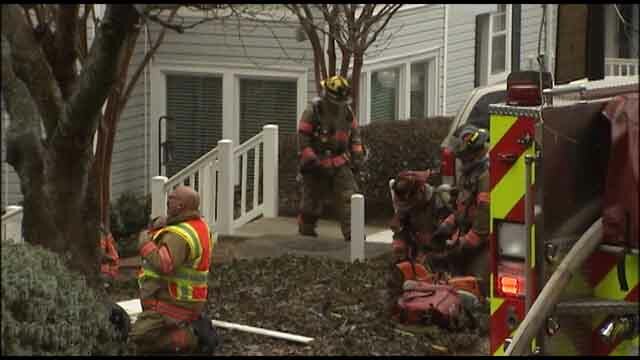 Mount Airy firefighters rescued a city woman from a burning home Thursday. Kay Nichols, 84, of 122 West Wilson Street, had been overcome by smoke from the blaze and was unable to escape the home, but was saved when fire fighters searching the structure found her inside. According to Fire Chief Zane Poindexter, firefighers arrived at the scene at 8:36 a.m. to find smoke rolling from the home, but no one visible outside or inside. “It was pretty much involved when we arrived at the scene,” said Poindexter. He said first responders observed smoke from the home’s door and no one standing outside. Firefighters rapidly entered the residence and searched, finding Nichols overcome by smoke in the kitchen area. She was taken outside, given oxygen by the firefighters and then transported to Northern Hospital for treatment of smoke inhalation by Surry EMS. 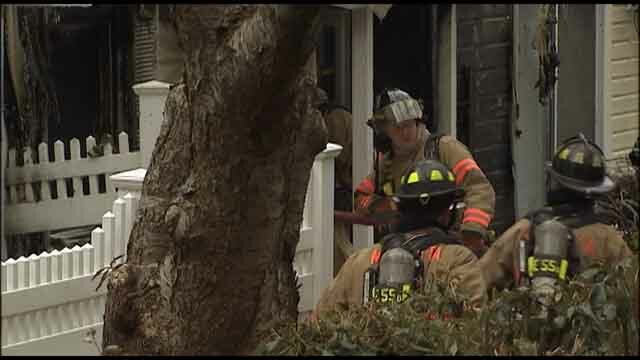 Firefighters were able to rescue her from the home and bring the fire under control within 10 minutes of arriving on the scene, according to Poindexter. Captain Jody Seaver, Assistant Chief Chris Fallaw and Poindexter served as investigators of the incident. The cause has been determined to be accidental. 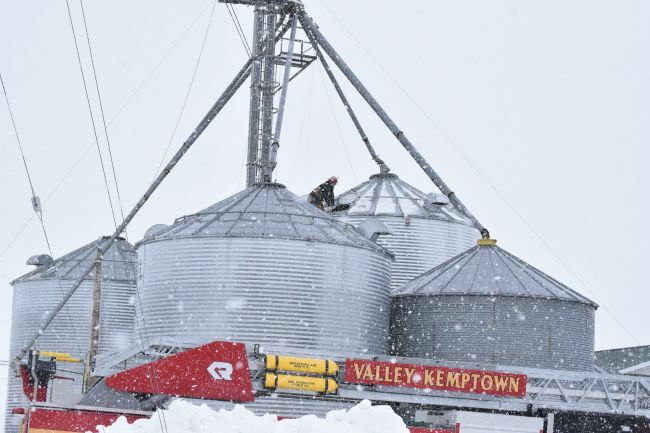 Two engines, a ladder truck, one support vehicle and two command vehicles were used in connection with the incident. Twelve personnel were involved with no injuries to firefighters reported. Poindexter said the fire appeared to have occurred on a stove top and spread to the kitchen’s cabinets. Property damage was estimated at $8,000 with $2,000 damage to contents. He said the cold temperatures make the already dangerous business of fire fighting even more hazardous as firefighters have to be aware of exposure and given opportunities to warm up. Water pumps normally cycle water out on the ground which freezes and makes surfaces slippery for firemen getting gear and fresh air tanks. When temperatures dip, water must be recirculated to keep it from freezing as well. 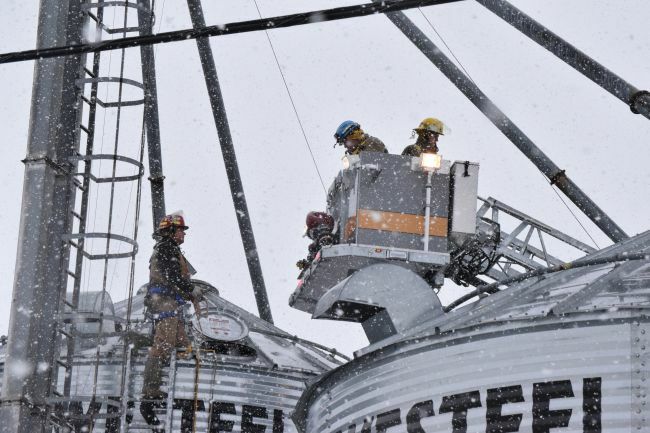 Firemen also have to be aware of the additional weight of freezing water on structures as well as icicles which can form and later break off, falling on firefighters. 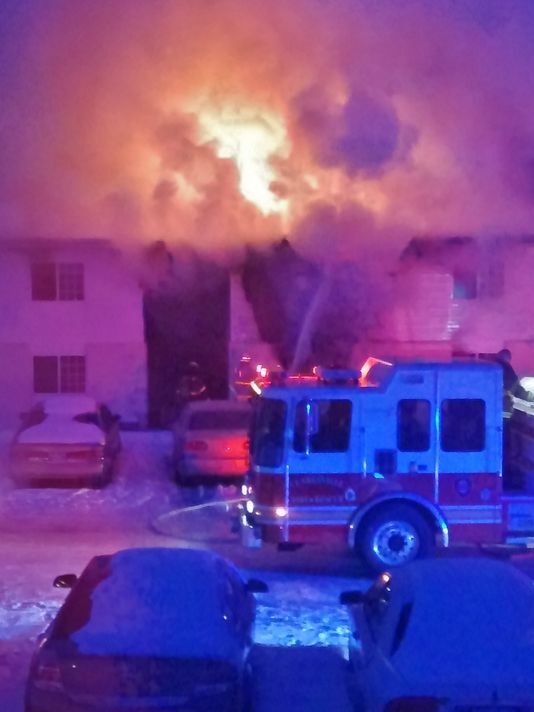 Feb. 20–Albuquerque firefighters rescued a woman from the balcony of a burning second-floor apartment early Thursday morning, but were unable to save another person from the deadly blaze. Firefighters arrived at the 1000 block of Coal SW around 2:30 a.m. and found one apartment in the 19-unit building engulfed in flames and fire spreading to adjoining apartments, Capt. Jason Garcia said in an email. The woman was carried down a ladder from the second-story balcony and the fire was put out within 20 minutes, Garcia said. She was not injured, but when the crew entered the apartment on a search and rescue mission, they found a person dead inside, he said. Garcia said the victim lived in the apartment, but didn’t release a name or gender. A third resident, a 30-year-old man, suffered severe burns and was hospitalized in critical condition. And a 45-year-old man, who lives next door, was taken to the hospital with lacerations and was in stable condition, according to the fire department. Two apartments had substantial fire damage and four other tenants had to stay elsewhere due to damage to their apartments. There was obvious charring outside an apartment on the west and south sides of the building Thursday morning, and a sliding glass door was missing above the balcony. Debris was piled up on the balcony, and the room off the balcony was gutted and charred. Clairie Miller, who helps manage an apartment building across the street that wasn’t affected, said when she heard the news she rushed to check if it was her building. Investigators carried out a body on a stretcher around 9:30 a.m. and loaded it into a gray, unmarked van. The body was draped in a green, satin-looking cloth. An arson investigation truck was parked in the apartment complex parking lot. Robert Pineda, who lives across the street, said he woke up around 2:30 a.m. because his dogs were barking and, when he went outside, he saw flames rising 8 feet above the roof of the apartment. “I was worried. There are kids and families who live over there,” he said. The complex’s manager said a young couple lived in the apartment and a friend was staying over Wednesday night. “I didn’t know them personally, but they were nice people,” he said. Another apartment resident, Annette Gomez, said she woke up in the middle of the night when a neighbor started banging on the door to tell her to leave. She went to the parking lot with her grandkids. Copyright 2015 – Albuquerque Journal, N.M.
NEVADA, Iowa —Firefighters from Nevada and Colo fought a fire at an apartment building in Nevada Thursday. The fire was reported at 919 6th Street about 9:51 a.m., which is near the Story County Administrative Building. “It was full of smoke, a lot of smoke and there was one man in his living room area and they had to pull him out,” said Richardo Martinez. A man was rescued from the building. He was flown to a Des Moines hospital, but authorities said his injuries are believed non-life threatening. He was later identified as Greg Krambeck, 53. Firefighters report extensive damage in the apartment and smoke damage throughout entire first floor of the building. Gwen Mosher has lived in the building for two year and was at work when she heard about the fire. The Red Cross is helping those displaced by the fire. 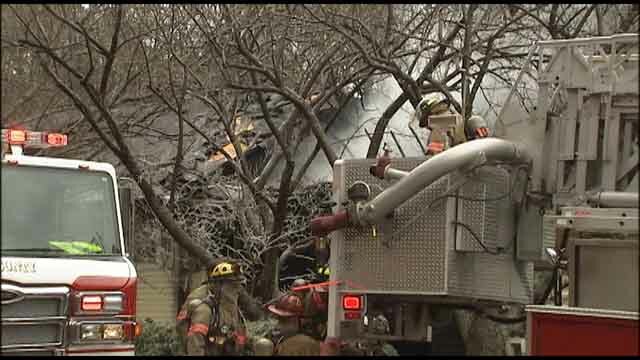 Crews fought the fire as temperatures hover near and just below zero.